A crystal luxuriance on the wings of the night. 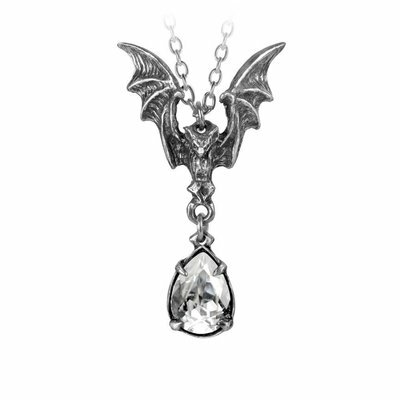 A dainty, elegant necklace that's sure to attract compliments. 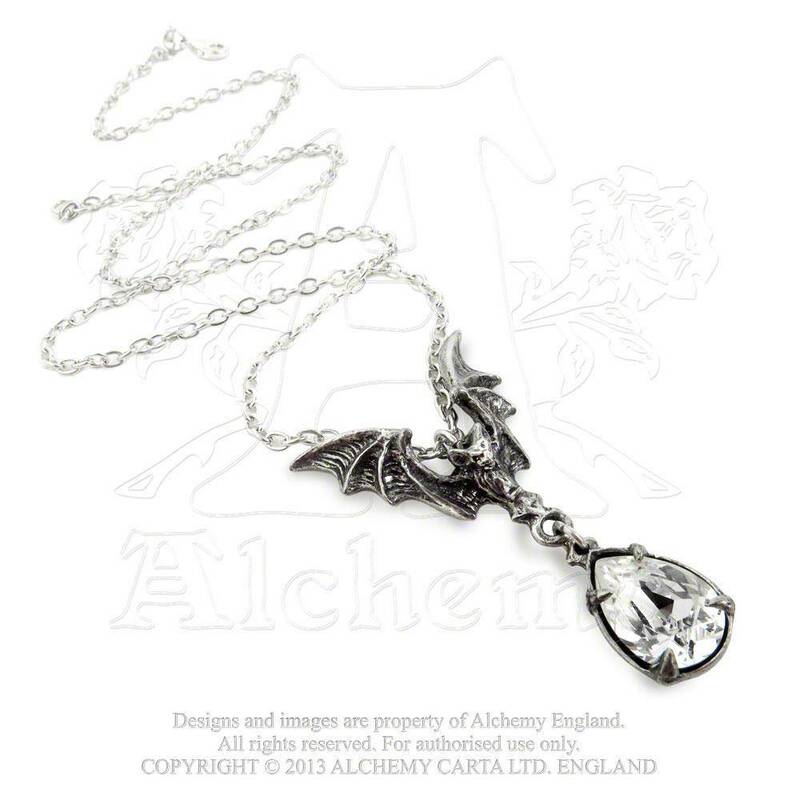 A pewter flying bat pendant with raised wings, suspending a clear crystal Swarovski teardrop in a pewter claw setting. Width 1.46" x Height 1.77" x Depth 0.24"